I can confirm that on all the occasions we have engaged the services of Carol she has proved to be invaluable in imparting her knowledge in a way that enables us to make clear and measurable decisions regarding our development of a sales and marketing strategy. We could not have set-up our telemarketing office without Carol’s input on everything from how and who we should recruit including where to recruit from through to running scenarios on the number of people to start with. Having someone who has the answers to the big issues as well as all the little ones has made the whole process go a lot more smoothly. I believe her coaching skills would be of benefit to most businesses requiring support in their sales and marketing activity. I employed Carol Griffiths recently when I reached a crunch point in the development of my business. The challenges I face as a non-profit training provider in a highly niche market baffle many but having worked with Carol in the past I believed she had the insight I needed. I wasn’t wrong. After briefing Carol grasped the crux of the issues and developed a well researched, coherent strategy for growth of both Grief Recovery UK and me personally. Carol was challenging in a way any good coach should be, helping me define the scope of the work needed and what could potentially be achieved. Carol is an excellent coach/mentor, I have seen her work with many personality types in my previous dealings with her and she absolutely knew how to get the best response from me. You can always count on well researched answers, never glib off the cuff comments. I would recommend her to any business person wishing to see results. I met Carol in March 2014, I was immediately impressed by her warm, sincere no nonsense approach to the task in hand and her ‘can do’ mentality. Her credibility has built her a strong professional business with a fantastic reputation. For my own business she enabled me to dig deep and gain clarity on a particular issue I was struggling with at the time. She has the ability to assimilate the facts and take a long strategic view on both the business and the person(s) involved in it. Carol definitely walks the talk as she is constantly updating her skills, knowledge and business contacts all of which she freely shares. After six months when I found myself struggling again with a project; Carol came to the rescue. We are now seeing those same results. Morton Kyle under Carol’s leadership delivers a timely, professional service that delivers measurable results. Her approach is to ask focused questions, gain insight into the industry and sift through what is important. The results achieved are about creating collaborative working and she takes you through all the steps however difficult. Her experience, pedigree and strong network has enabled her to deliver a bespoke solution based concept that will and does work. In summary, I’m enjoying working on my business instead of in it. I cannot recommend her highly enough and have; as she has a dynamism that is unsurpassed. Carol Griffiths of Morton Kyle has provided and delivered a number of training programs to our company over the last few years and is a preferred supplier of our company. I worked closely with her whilst she delivered a Team Leader Development program at our consumer site earlier this year and witnessed the extremely positive impact the training had on each employee and the department as a whole. Employee retention levels rose, performance increased and the Team Leaders adopted a more empowered presence following the training delivered to them. Carol is enthusiastic, utterly professional, knowledgeable and versatile to work with as well as having the ability to engage with employees regardless of their calibre, and train them to the standards a company requires. I would not hesitate to recommend Morton Kyle as an excellent training provider and look forward to a long working relationship with Carol and her company. We hired Carol to effectively remove an impasse to growth in The Interim Register. The business had reached a ceiling in terms of sales and we needed an expert third party opinion to help us look at the business from a new angle to regain momentum. Carol’s core ideas formed the basis of subsequent restructuring which has been a great success. I would definitely recommend Carol! We have worked with Carol for a number of years on various career development projects. Carol has successfully created and delivered programmes which have developed our people. She works very closely with our managers to understand the culture and ideals of the company which enables her to deliver training/coaching with maximum benefit to the individuals. She is highly skilled and experienced in her field. I would not hesitate to recommend Carol for future work. 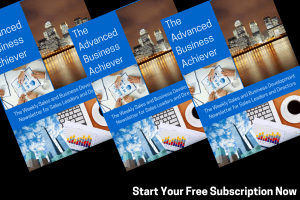 “After enduring a lean time in sales for a number of months our company decided that maybe a professional consultation would benefit me, in a bid to increase my sales performance. Even though I was making many telephone calls a day my biggest problem was booking good quality appointments with decision makers at the prospective clients. 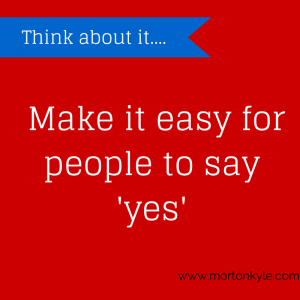 I spent a half day session with Carol Griffiths from Morton Kyle Limited at our offices. The session was relaxed and informal but ultimately very beneficial. Carol asked me to present to her as if I was in front of the client. She then gave me tips on the presentation what I was doing right and to continue doing, and where I could improve. I then did a telephone pitch and once again went through the good and not so good points. Carol prepared a telephone script for me to work on and also advised the level of activity I should aim for in a bid to get the required number of appointments. We also went through the best way to do the appointment when in front of the client. Since the consultation my appointment levels have risen and in the following month since the consultation I exceeded monthly target for units sold and profit margin. Now I’m not saying the techniques learned work 100% of the time but it WILL significantly improve your performance and results. 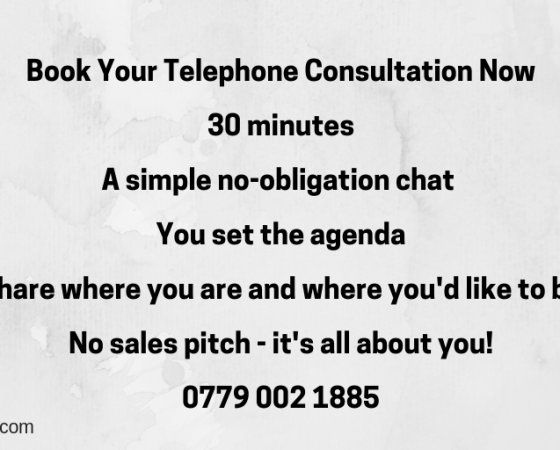 I remember the first time using the telephone script that Carol had prepared after the consultation, and whilst speaking to the decision maker, I remember thinking to myself “It works!” Also the tips given to me regarding the appointment itself have been a great help with deals now closed with ease! I would highly recommend a consultation with Carol to anyone who’s sales performance needs a boost. It worked for me. It’s free, we’ll never send you SPAM, and, if you want, you can unsubscribe at any time.